Sipping fun to share! Fill the flask with your favorite liquid, then pour four shots when its time to share. 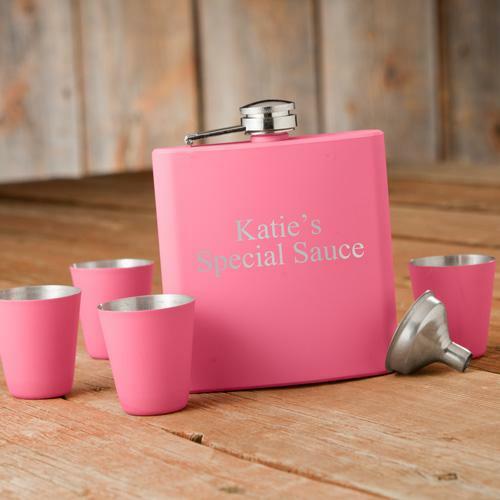 The matte pink finish adds a fun feminine color pop to the age old flask. Four matching shot glasses complete this party set. Great for tailgating, bachelorette party, sorority soiree, girls night out, birthday or any other good excuse to celebrate. Makes a fun gift for bridesmaids and graduation as well.